In 1995, I moved from a comfortable life in America to Ramallah, Palestine, to invest in the most American of businesses there. I was instrumental in bringing Coca-Cola to the Middle East in the early 1980s; after the Oslo Peace Accords were signed I decided to launch the Coke franchise in the West Bank and Gaza. Over the last decade, the business has grown. Today, Coca-Cola employs hundreds of Palestinians and sells 10 million cases of Coke a year. As a Palestinian American, this was more than a moneymaking venture. Each gleaming bottle, with that red Coca-Cola swirl in both Arabic and English, would be a miniature ambassador from America. And each potential investor who saw that Coke was successful might decide to invest as well. It seemed the perfect strategy: to promote American interests while helping to build an economy that could serve as the foundation of a viable, independent Palestinian state. Following the peace accords, scores of other Palestinian Americans moved to the West Bank and Gaza. Professors came to teach at universities. Doctors came to help modernize the healthcare system and treat patients. Artists came to exhibit and perform. Other business professionals came to invest, modernize the economy and create jobs. Each, in their way, wanted to help build an independent Palestine. Each served as the real ambassadors of America, so different from the American-made Apache helicopters and F-16 fighter jets Israel uses to rain destruction on the Palestinian economy, cities and villages. But Israel has decided that we Americans are not welcome. Many, like me, have lived in the West Bank for more than a decade. Unlike American Jews -- or Jews from anywhere -- who can receive instant citizenship upon arrival, we are unable to obtain residency. Instead, we Christian and Muslim Palestinians must rely on our American passports, renewing our tourist visas every three months. A hassle, yes, but the only way to stay in Palestine, often in the homes our families have inhabited for generations. Since Hamas assumed government authority after democratic elections this year, Israel has begun to deny Palestinian Americans the right to enter. We are left to wonder why. This new policy could be another turn of the screw to pressure Hamas. It could be manufactured as a painless concession for future negotiations. It could be one more tactic in Israel's drive -- which began in 1948 with the expulsion of more than 700,000 Palestinians -- to empty as much land of as many Palestinians as possible. We do not know the reason for denying entry to Palestinian Americans. But we do know the result. In addition to breaking families apart -- for example one spouse with children in the West Bank, and the other unable to return from visits to the U.S. -- it is discouraging investors. It is driving out the very people the U.S. State Department, the World Bank and other international organizations encouraged to return. We are the ones building businesses, creating jobs and inspiring hope for a better future. Using the pretext of security, Israeli policies of home demolitions, land confiscation, restrictions on movement and construction of the separation wall have choked the Palestinian economy. According to the U.N., more than 540 checkpoints and other structures impede movement throughout the West Bank, and crossings into Gaza are rarely open. Gaza represents 30% of the Palestinian economy. Yet we cannot ship goods from the West Bank to Gaza. And Gaza cannot import raw materials for processing, even though it possesses a talented labor force. Israel has also been refusing to turn over nearly $55 million a month (now totaling roughly $400 million) in Palestinian tax revenue. With the cutoff of international aid, this has led to a humanitarian catastrophe. Since March, Palestinian Authority employees -- about one-quarter of the labor force -- have not received their salaries. Israel will not gain security by creating Mogadishu next to Silicon Valley. Only an open and thriving Palestinian economy can lay the foundation for a sustainable peace. Our humanitarian crisis is not the result of a natural catastrophe. There was no tsunami, earthquake or drought. We helped to build nations. We have the natural resources and human capital to build a thriving, stable Palestinian economy as well. We do not need international handouts. We need the free movement of people and goods. We need unrestricted gateways between the occupied Palestinian territory and the rest of the world. 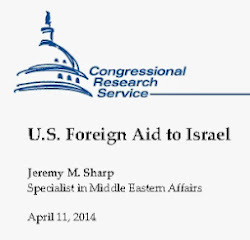 American policy makers have tremendous influence with Israel. They should use it to insist on freedom of movement of people and goods, and to maintain access for Palestinian Americans and Palestinians with other foreign passports to continue to play a role in economic development. A vibrant Palestinian economy serves the interests of all -- Palestinians, Israelis and Americans. 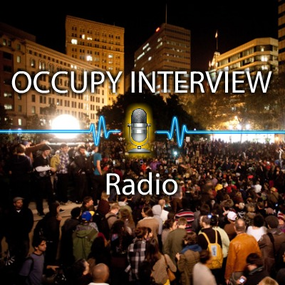 On this web page there are 3 ways to listen to this interview. This was an interview aired today by NPR in the US as a result of a complaint that several persons made on the original coverage by NPR on this issue. 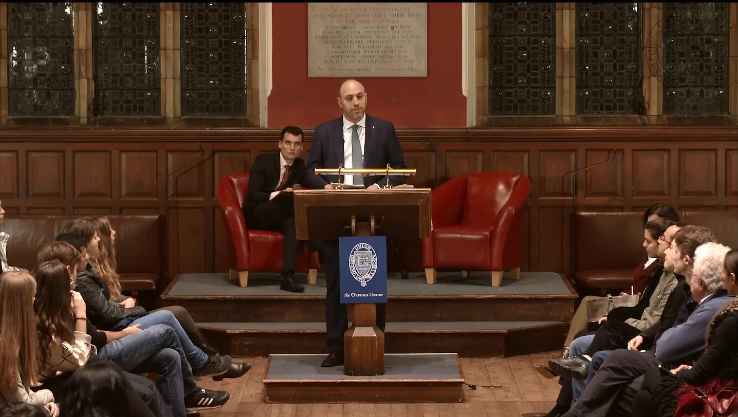 Listen, in particular to the second segment, the representative of the Israeli Foreign Ministry. Anchor Lisa Mullins speaks with Sam Bahour, an American citizen of Palestinian descent who lives in the West Bank town of Ramallah. He's the developer of a multi-million dollar shopping mall. But he's going to have to leave the West Bank, because Israeli officials say they won't renew his visa. Anchor Lisa Mullins gets reaction on Sam Bahour's predicament from Israeli Foreign Ministry spokesman Mark Regev. Domestic CNN today and International CNN within 48 hours. This organization is well worth building a career with. Professional, structured, and sustained media efforts are exactly what will change public opinion, and thus policy, over time. If you or someone you knows fits the job please apply. Be sure to tell them you heard about it from the ePalestine list. Also, always remember you can invite friends to subscribe or unsubscribe from ePalestine by following the instructions at the end of this (and every) message. 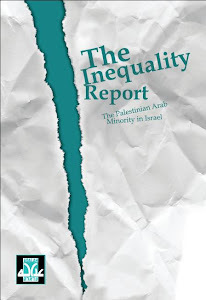 The Institute for Middle East Understanding (IMEU) is an independent non-profit organization formed to address a significant gap in Americans’ understanding of Palestine, the Palestinians and related events. The IMEU works closely with journalists to supply articulate sources, reliable information and compelling experts. The IMEU was formed by a team of business, communications and media professionals who are using the skills they honed in the corporate world to make the IMEU as professional, efficient and effective as any for-profit company. 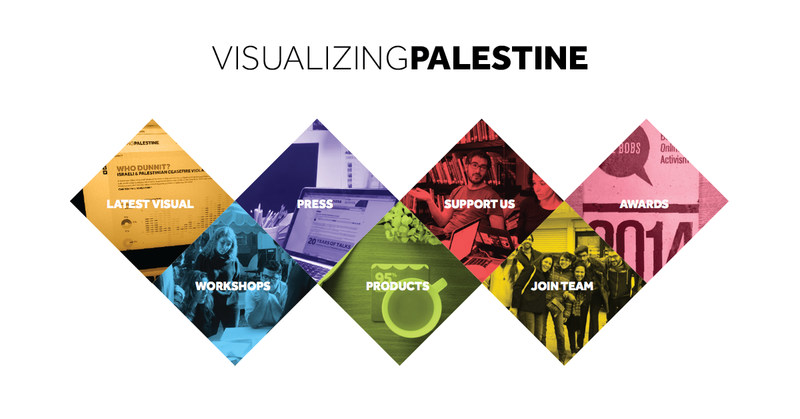 The IMEU seeks a bright, articulate, and dedicated Broadcast Media Specialist to help the Institute become the most respected resource for journalists covering Palestine, the Palestinians and related events. This position will work closely with IMEU’s Communications and Development Director. Approximately 25 percent of this person’s time will be devoted to fundraising support. I have been spending hours during the past couple of weeks trying to help a friend. Well, he's not really a friend, we hardly know each other. I have exchanged e-mails with him several times over the past years, and appeared with him once at a conference at Tel Aviv University. I was impressed by his mild manner and his "go- getter" attitude to life. In a lot of ways he reminds me of myself. He immigrated to this country out of a deep sense of idealism. He felt that he was coming home. He wanted to serve his people, build a life for himself and his family. Like me, he immigrated from the States. He has been living here for years and has scored some real achievements, including making a name for himself in the business world. His name is Sam Bahour, and he is Palestinian. He came home to Palestine at the outset of the peace process in order to build the new state and make a contribution to peace. He believed in the peace process and he wanted to build his life with his people. 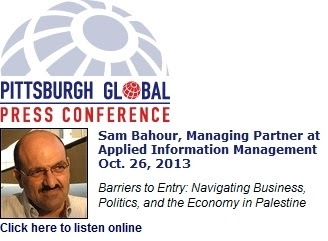 Sam has built a hi-tech company in Ramallah. He's built a small shopping center there too. He has been a central and active part of Ramallah's social and intellectual life. Sam is all over, always willing to help out, and always willing to meet Israelis because he believes in peace. He has many Israeli friends all over Israel. He even holds an MBA from Tel Aviv University. The one place where Sam doesn't have Israeli friends is in the Civil Administration - and that's where he needs them more than ever. 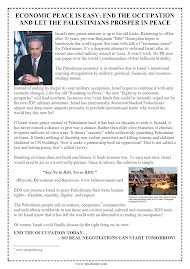 WHEN MOSHE Arens was minister of defense in the early 1990s he formed a committee, headed by Prof. Ezra Sadan, to reevaluate Israel's economic policies in the West Bank and Gaza. The Sadan committee recommended, and minister Arens implemented, a major policy change that actually encouraged investors of Palestinian origin to "return" to the West Bank and Gaza in order to invest and to create jobs. When the peace process got under way after 1993 that policy was further developed and Palestinian expatriates were called on by both the Israeli government and the Palestinian Authority to come back to Palestine and build their future while contributing to peace. That's what Sam did. Only Sam didn't know that Israel would continue to control the population registry, and that he would have to leave the country every three months in order to be able to stay in the country. But Sam is a law-abiding citizen, and so every three months he left the country in order to get a new three-month tourist visa. Now everyone knew Sam wasn't a tourist, but everyone has been playing the game of make- believe that he was so he could stay in Ramallah with his wife and children and could continue to manage the successful businesses he has worked so hard to build. THOUSANDS of people have been playing the same game for years. Sam did apply for family reunification in 1994, before the PA took over. It is also worth pointing out that thousands of Jews live for years in Israel for years on tourist visas without being threatened at all. At the end of this month, in a few days, Sam will have to leave the country again - but this time he will not be coming back. Someone decided that the charade has to end. A certain Mr. Gur Lavie, who is in charge of Palestinian population registration for the West Bank, said to me last week: "Let's face it. We all know he's not a tourist." I said, "That's right, we all know that." So, said my interlocutor, "let him apply for family reunification." Brilliant idea! Some 120,000 family reunification files have been opened since 2000, but since the beginning of the intifada in September 2000, the State of Israel has stopped reviewing family reunification files. The registration officer's response: "That's his problem" - and he is right, it is his problem; but it should be ours too. NOW IT IS very important to get something straight. Sam Bahour does not want to live in the State of Israel. He lives in Ramallah, and he wishes to continue to live in Ramallah. He too wants to stop playing the charade. He is not alone. He is one of thousands of Palestinians who have no Palestinian ID issued by the Palestinian Authority, thus, he has no ID approved by the State of Israel. Sam Bahour only has his US passport and that document is no longer useful for getting him permission to live in Ramallah. The official I spoke to is implementing a policy which is nothing more than a form of ethnic cleansing, but he did not make the decision himself. He is simply a mid-level clerk in a pseudo-government system of control called "the occupation." One of his bosses made the decision. Since his direct boss is the head of the Civil Administration, it might appear that some brigadier-general made the decision, but Brig.-Gen. Kamil Abu Rukon, the current head of the Civil Administration, did not make the decision. It came from higher up. Abu Rukon answers to Gen. Yosef Mishlev, the coordinator of government activities in the territories, but Gen.
Mishlev also didn't make this decision. It was made by the minister of defense - not Amir Peretz but his predecessor, Shaul Mofaz. It was probably one of the last decisions he made before leaving the ministry. It is possible that Peretz is not even aware of the decision and its impact on tens of thousands of people in the West Bank. IT IS TIME to end the charade. When I immigrated to Israel they made me a temporary resident. When I was ready I was given citizenship and permanent residency. Sam Bahour does not yet have a state to become a citizen of, but he certainly should be granted some form of residency that allows him to be the exemplary citizen that he is. We Israelis should be interested in keeping Sam Bahour and the thousands of others like Sam as our neighbors in the West Bank. The chances for building real peace increase when people like Sam Bahour can be our neighbor. Shame on any government of Israel that would force people like Sam to leave. During the final days leading up to Yom Kippur we should all say sorry to Sam Bahour and correct this injustice to Sam and to thousands of others once and for all. It is the most Jewish thing to do, particularly in the Holy Days between Rosh Hashana and Yom Kippur. Please do consider sending LeMonde a letter to the editor about this issue. First, to my Jewish subscribers, Shana Tova, and to my Muslim subscribers, Ramadan Kareem. 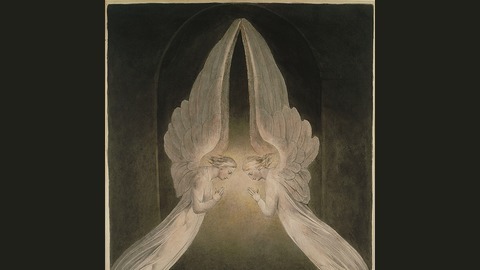 It is rather unique that these two holidays start on the the same day this year. Let's hope this is a sign for better days ahead, albeit it is the only sign I can see. Below I pass the two faces of Israel that we are witnessing today. The first by Shulamit Aloni shows signs of an Israeli awakening to reality. The second, deserves a place in the Racism Hall of Shame. Over the years we deported, robbed land and stole water, destroyed crops, uprooted trees, turned every village and town into a detention camp, and set up hundreds of communities on land that doesn't belong to us. We paved roads for Jews only, a case of blatant apartheid, while defending it using witty Jewish self-righteousness in the absence of fair and public reporting of the budgets involved, deeds committed, expropriation of land, and disregard for vandalism. Morality, justice, law and order stopped at the Green Line. Lawlessness prevailed right under the noses and protective and soothing hand of the IDF and police, as lawbreaking settlers made their own laws undisturbed, and at times with the kind help of authorities. Every illegal settlement enjoys water, hydro, and a paved road. The permanent residents, the natives, which the Israeli regime had to take care of, became seemingly non-existent. As if they are there but not there at the same time. The government only notices them if they bother it by filing complaints. It's no wonder that the leader of a political movement in Israel and a Knesset member can declare that we should expel the Palestinians (and also Israel's Arab citizens) in order to take over what is still left to them. But as we usually present it – we're the victim while they're the murderers with blood on their hands. We never report the number of Palestinians we murdered from the sky and killed by fire – women, children, the elderly, whole families, thousands of them. Aerial bombings kill wanted suspects, while eliminating many civilians – yet the hands of the pilot are "clean" of any blood. After all, the victims were killed at the press of a button while their killers returned home safely. None of them committed suicide to kill wanted suspects, who by the way are not a "ticking bomb" and no evidence exists against them. 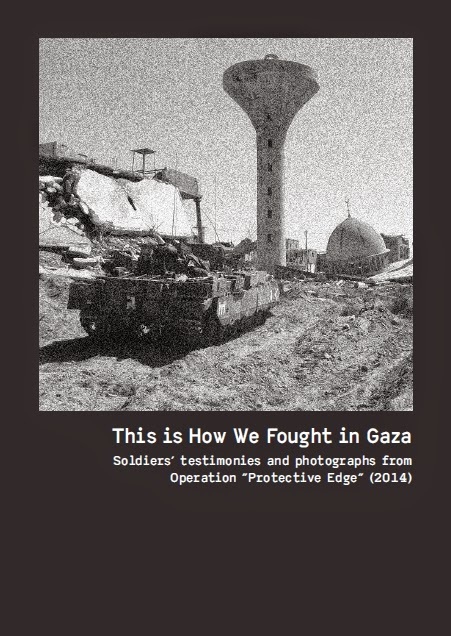 At times it appears that the IDF, particularly during the last, needless Lebanon war, turns the Gaza Strip into live-fire training grounds for all army branches. Is it a wonder they hate us, and is it a wonder they elected Hamas in free elections, the same Hamas whose establishment we encouraged in order to undermine the PLO? Many peace-making windows were opened over the years. We hindered all of them, because we coveted the whole of the Territories. We had the Oslo agreements. Twenty countries, which in the past had no ties with us, recognized Israel. We had welfare, international ties were blossoming, peace was at our gates – but we didn't want to make concessions. Rabin was murdered for the sake of the settlers, and the job of burying peace-making attempts was completed by Ehud Barak with his "There's nobody to talk to!" spin. In order to establish himself in power, Barak also allowed Arik Sharon to visit Temple Mount with armed escorts, even though he was asked by Arafat the night before not to allow this due to the frustration and fury among Palestinians. Now, another possibility for dialogue has opened. Yet our government is again turning its back on it. They don't know how to and don’t want to talk. Just now we brutally destroyed half of Lebanon at an immense cost and turned a million civilians into refugees in their own country. Another superb achievement by the IDF and government of Israel. We're willing to resort to any provocation and blow any incident out of proportion, just to hold on to the regular pretext that "There's nobody to talk to", and that we don't talk to terrorists. Yet the acts we undertake by starving, curfews, deportations, the theft of water and land, false arrests, and targeted killings – all those are, of course, not terror, because the acts are undertaken by a national army through the power of a decision made by legitimate government. Wonderful, it turns out we forget the fascist states (including Stalin's USSR) that were very legitimate according to their own logic, while committing a plethora of terror acts. The time has come for the government of Israel to start talking peace, and end the excuses for disqualifying and boycotting Palestinian representatives. The use of arms does not have to be the first reaction. Starvation, imprisonment, and expropriation by an occupying force attest to an unwillingness to reach an agreement and an addiction to greed. This is reminiscent of Benny Elon comments: "We'll embitter their lives so that they transfer themselves elsewhere." One cannot escape the impression that the racist and brutal declarations by Effie Eitam gave public expression to government policy over the years. We must note that the courts – the defenders of law and order, including the High Court of Justice – were partners to the developments that led to the legitimization of parties and Knesset members reminiscent of the racist, crude words uttered by MK Eitam. 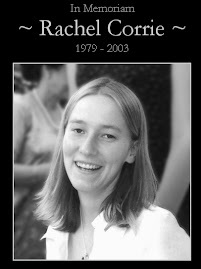 In fact, it appears that Meir Kahane won, and we continue in his path – we don't talk, but rather, only kill, raze homes and roads and bridges, cut off electricity, fill prisons with women and children and elected officials, because all of them are the "terrorists" while we, the Jewish state, need to be defended from them. We're always the ultimate victim. As Golda Meir said: "I don't forgive the Arabs for forcing us to kill them." There you go, she's the killer, yet she's the victim. For our sake, the citizens of Israel, and for the sake of brining peace and quiet – government leaders, start talking and keep doing it until you reach an agreement. Unruly sons will be brought back into the country, we'll be respecting UN decisions and international conventions, we'll earnestly memorize the universal human rights declaration and our own declaration of independence, we'll rehabilitate our soul, and we'll attempt to establish a democratic country governed by the law and justice. Shana Tova. A Jewish rabbi living in the West Bank has called on the Israeli government to use their troops to kill all Palestinian males more than 13 years old in a bid to end Palestinian presence on this earth. Extremist rabbi Yousef Falay, who dwells at the Yitzhar settlement on illegally seized Palestinian land in the northern part of the West Bank, wrote an article in a Zionist magazine under the title "Ways of War", in which he called for the killing of all Palestinian males refusing to flee their country, describing his idea as the practical way to ensure the non- existence of the Palestinian race. Falay is not the first to have called for such extreme measures. Rabbi Meir Kahane, founder of the Kach movement, called for "the transfer of Israel's Arab population to Arab (or other) lands." (As it states on the group's website). Followers of Kahane have been connected to a number of murders of Palestinians, particularly in the Hebron area in the southern West Bank. In the most well-known of such attacks, 29 Palestinians praying in the Ibrahimi Mosque in Hebron were gunned down by Baruch Goldstein, a follower of Kahane, in 1994, with Israeli soldiers looking on and allowing the gunman to reload his automatic machine gun and continue killing innocent civilians. In response to that massacre, the Israeli authorities punished the Palestinian victims by taking over the Ibrahimi mosque and turning half of it into a synagogue, where Israeli settlers go to pray each week. And each year, on the anniversary of the massacre, Israeli settlers in Hebron dress up like Baruch Goldstein and parade through the streets of Hebron, firing guns in the air. 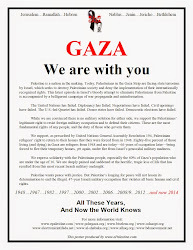 The Kach movement recognizes the 'transfer' of 750,000 Palestinians that took place in 1948 in order for the state of Israel to be created on their land, but argues on their website that this 'transfer' was incomplete, and that all Palestinians must be sent away, or killed, in order for Israel to remain a 'Jewish state'. Their platform reads, "In a genuinely 'JEWISH State', how can an Arab be an equal when that State has an Independence Day celebrating his defeat. Its flag isn't that of its people. He isn't trusted to serve in the army. His cousin born in Haifa [sic] and fled during the 1948 War of Independence cannot return... yet any Jew who never lived there before is welcomed with open arms. In short, Israel is his enemy's country, not his. So how can an Arab truly be a loyal citizen in a Jewish State? Simply, they cannot, and they must go!" The idea of extermination of Palestinians, or their 'transfer' into other countries, is not only a view held by extremists on the fringes of society. Prominent Israeli politicians have also made calls for a 'transfer', or ethnic cleansing, based on race. Just last week, on September 11, 2006, an Israeli member of Parliament called explicitly for the transfer of Palestinians (whom he referred to as 'Arabs') from the West Bank (which he referred to as 'Judea and Samaria', the biblical name for the region where the majority of Palestinians now live). "We have to expel most Arabs from Judea and Samaria," Eitam said at a memorial service for Lt. Amihai Merhavia, a soldier who was killed in South Lebanon in July. "We can't deal with all these Arabs, and we can't give up the territory, because we've already seen what they do there. Some of them might have to stay under certain conditions, but most of them will have to go." Despite a law that would strip Israeli parliament members of their immunity to prosecution if they are found make explicitly racist statements, no investigation of Eitam has occurred on this matter, and there was no condemnation of his statement by the Israeli government. It is crucial to know our past to understand where we are and where we may be heading. Israeli journalist Amira Hass does it again below. 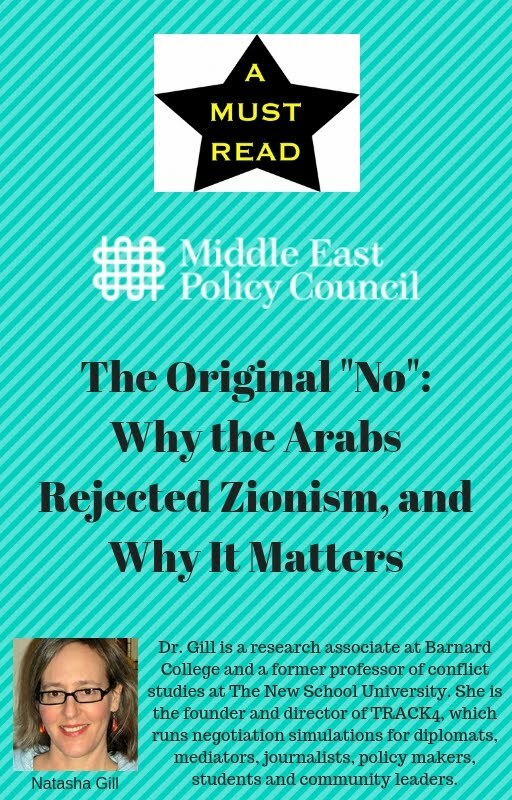 She has a very rare journalistic talent to extract the pulse of today by reviewing the historical context of the patient -- the patient here being dispossession of the indigenous Palestinian population! 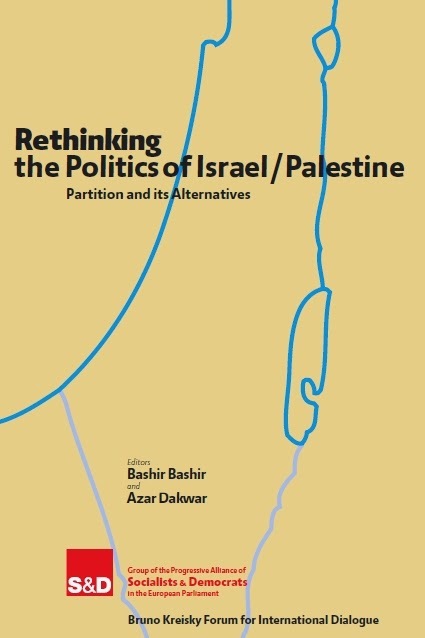 "...the Israeli security services are careful to act within the framework of a clear political paradigm: maximum weakening, in every possible way, of the Palestinian national collective, so that it will not be able to realize its goal and establish a state worthy of the name, in accordance with international resolutions." Six Palestinian churches in the West Bank and Gaza Strip suffered damage and arson attempts in reaction to the words of Pope Benedict XVI. Palestinian spokesmen of all stripes condemned these attacks and said that the Palestinian nation - Christians and Muslims alike - is one, and is united in its struggle against the occupation. Reports on the attacks in the Palestinian media described the perpetrators as "unknown." In the Palestinian subtext, "unknown" implies "of suspicious identity," a phrase that borders on a half-concealed accusation that Israel's Shin Bet security services sent agents provocateurs. In Tubas, where an attempt to set fire to a church failed thanks to the residents' alertness, people said openly that the thrower of the Molotov cocktail might be connected to the Israeli occupation. But the mayor of Tubas, Oqab Darghmeh, who raised this possibility, also proposed another option: Perhaps the perpetrator acted out of ignorance. Most of the critics, however, did not point an accusatory finger at the Shin Bet. They cannot deny the ills that have become so widespread in Palestinian society: criminal behavior and hooliganism masked by the images and jargon of a national struggle, and the growing use of weapons in personal and public conflicts, with the encouragement of Palestinian political actors, who are in need of the atmosphere of chaos in order to be seen as "strong." But is it possible to separate these ills completely from the Israeli occupation? The latest book by historian Hillel Cohen, Aravim Tovim ("Good Arabs"), offers several historical proofs of the validity of Palestinian "paranoia" about the political motives behind security control. 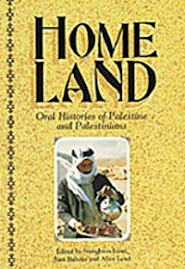 Although the subject of the book is the activity of Israeli security and intelligence agencies among Israeli Arabs immediately after 1948, a consistent policy of action and thought that stretches from the Mandate years until the present allows us to draw conclusions that also apply to Israeli control over the Palestinians in the West Bank and Gaza. 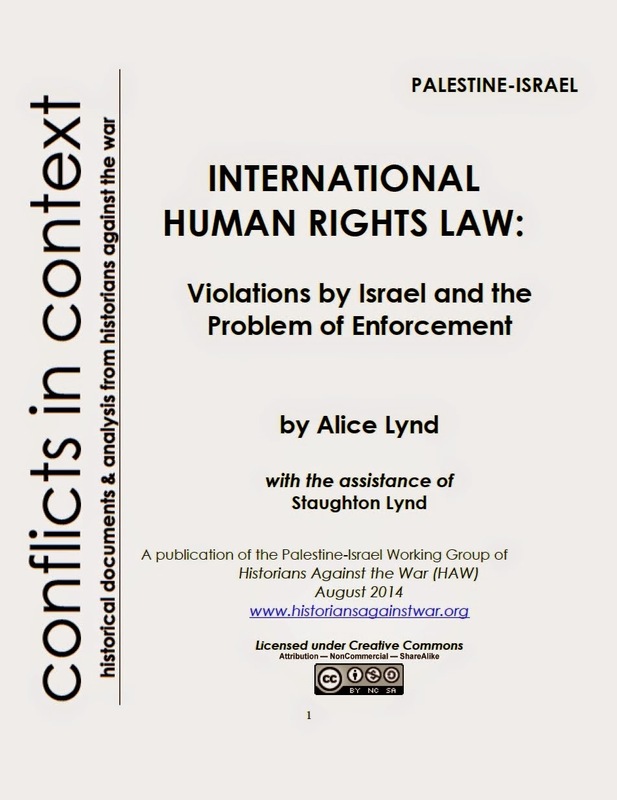 Cohen's research relies mainly on police documents from the period, which have recently been opened for public perusal (the Shin Bet documents are still classified). They relate, for example, that the provision of weapons to collaborators by the local authorities was a way of rewarding them. However, the security forces' liaison committee mentioned in 1949 that "the distribution of weapons to an element or members of one group is likely to be useful to us; it will create the desired tension among the various parts of the population and enable us to control the situation." The security agencies, Cohen reveals on the basis of written documents, occasionally even initiated internal conflicts. Moreover, the regional committee for Arab affairs in the Triangle (the body that coordinated among the various security agencies in this region) "does not approve of providing the residents of the region with higher education," according to the minutes of a 1954 meeting, and the committee worked to prevent Arabs from being accepted to institutes of higher education. Cohen allows himself to speculate that the motive was its desire to prevent the creation of an educated class that would succeed in organizing and making demands of the state. In other words, the security services - even if they acted on their own initiative in various places - operated in the context of an official paradigm: continued theft of lands, continued fragmentation and weakening of Arab society, and undermining the possibility of the Arabs developing an independent leadership. Critics of the Military Administration's policies - Israeli Arabs and the main opposition party, Maki (the Israel Communist Party) - were described as "paranoid." But Cohen, in the many examples he brings in his book, retroactively proves that they were right. Indirectly, this book by a former journalist says that one does not have to rely on written documents - which will be made public in another 50 years - in order to believe a political analysis that differs from that of the rulers. Hence, it was not simply shortsightedness and neglect that caused the Palestinian territories to be flooded with weapons during the 1990s. It was not "security" that led to the creation of a class of new mukhtars from Fatah, who received special privileges that were denied to other Palestinians and that deepened internal tensions. 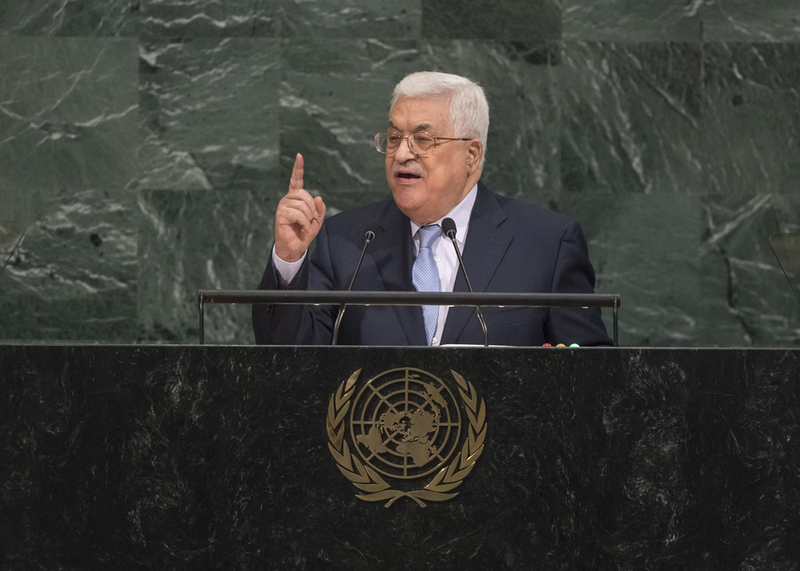 It was not "shortsightedness" that led to the weakening and political trivialization of Mahmoud Abbas (Abu Mazen) as chairman of the Palestinian Authority, just as it was not simple naivete that omitted the main point from the Oslo Accords: the goal of a Palestinian state within the 1967 borders. It is not local decisions by regional military commanders that are fragmenting the West Bank into isolated "territorial cells." It is not security considerations alone that prevent Gazan students from studying in the West Bank and American academicians from teaching in Palestinian educational institutions. In the name of security - but not for its sake - Israel is exacerbating ignorance and economic deterioration in the occupied territories. 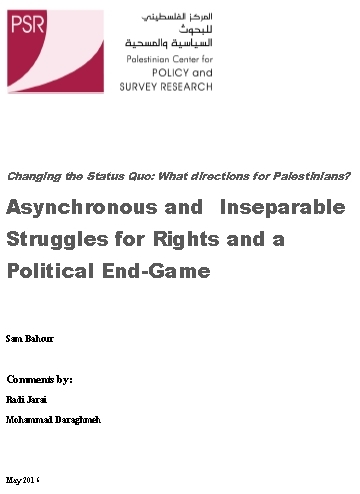 According to this analysis, for which there is no shortage of evidence, the Israeli security services are careful to act within the framework of a clear political paradigm: maximum weakening, in every possible way, of the Palestinian national collective, so that it will not be able to realize its goal and establish a state worthy of the name, in accordance with international resolutions. 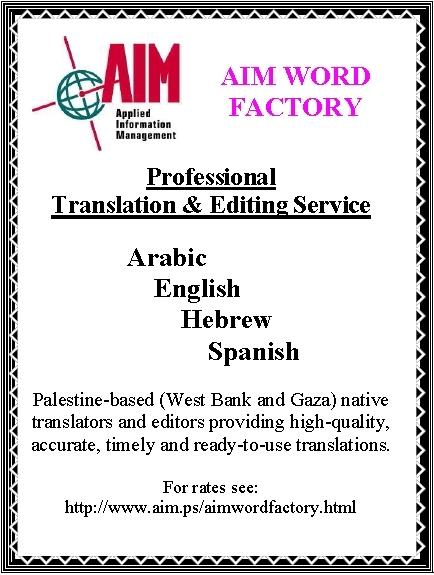 I pass the attached invitations for those in Palestine/Israel. RAMALLAH, West Bank, Sept. 16 — Sam Bahour, an American citizen of Palestinian descent, would seem to be the kind of neighbor Israel would welcome. Mr. Bahour, 41, has a master’s degree in business from Tel Aviv University and runs a successful consulting firm. He developed a gleaming $10 million shopping center in Ramallah, where he has lived for 13 years with his Palestinian wife, Abeer, and their two daughters. Yet in all that time, Israel has never approved Mr. Bahour’s application for a Palestinian identity document, which would allow him to live permanently in the West Bank with his family. He has had to rely instead on repeated renewals of a three-month tourist visa since he moved from Ohio to Ramallah in 1993. And now Israel says he cannot renew it anymore. 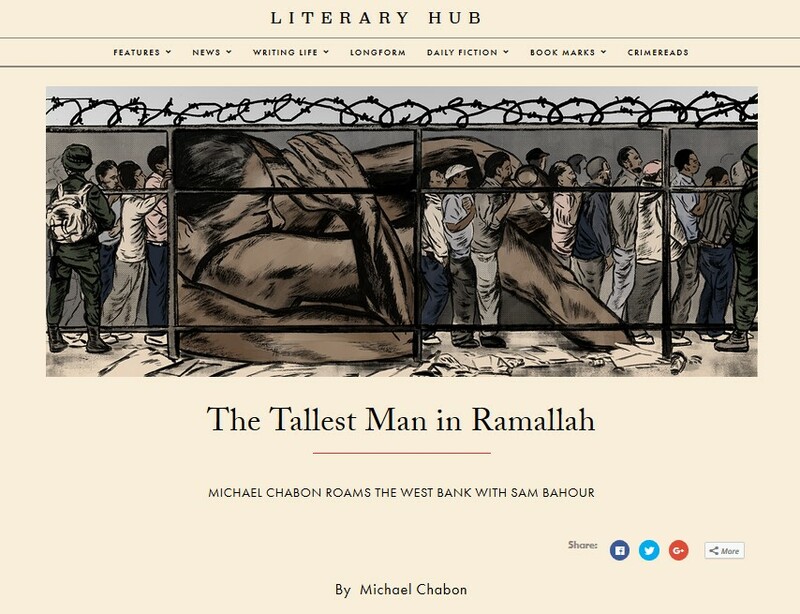 Mr. Bahour is one of thousands, or perhaps tens of thousands, of people ensnared by an Israeli policy that has effectively frozen immigration to the Palestinian areas of the West Bank and the Gaza Strip since the current Palestinian uprising began in 2000. This spring, after the radical Islamic group Hamas came to power, Israel severed most contacts with the Palestinian Authority and moved to close the last loophole in its immigration policy — the renewable tourist visa. Over the past six years, more than 70,000 people, a vast majority of them of Palestinian descent, have applied without success to immigrate to the West Bank or Gaza to join relatives, according to B’Tselem, an Israeli human rights group that tracks the issue. Many who followed Mr. Bahour’s route and worked around the ban with tourist visas now have no legal way to remain. “These people are not really tourists — they are living and working without legal permits,” said Shlomo Dror, the spokesman for the Israeli government agency that handles Palestinian affairs. 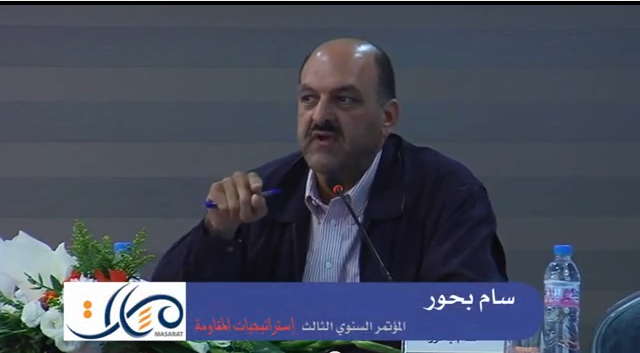 Mr. Bahour acknowledges that he has options that others in the same situation may lack. His daughters, ages 12 and 6, are also American citizens, and his wife has a green card that would allow her to live and work in the United States. He and his wife own a second home in Youngstown, Ohio, where Mr. Bahour was born and raised, and his profession as a business consultant is portable. But the family is committed to building a future here, he said. More common are families in which one spouse has only a Palestinian identity document while the other has a foreign passport, making it difficult or impractical for them to live elsewhere. Many Palestinians say Israel is pursuing a systematic policy of limiting the population in the Palestinian areas, even if it means separating family members. “Most every Palestinian knows someone with this kind of problem,” said Sarit Michaeli, a spokeswoman for B’Tselem. In her view, the Israeli policy has several purposes: to apply political pressure on the Palestinians, to create a bargaining chip that could be used in future negotiations and to be a tool in a battle of demographics. The largest single category of people affected by the Israeli policy is Jordanian women of Palestinian descent who have married Palestinian men and want to move to the West Bank to live with their husbands, Ms. Michaeli said. Many of those women come to the West Bank on tourist visas and stay on after their visas expire. Complications arise when the women eventually want to travel or visit relatives in Jordan. If they leave the West Bank or Gaza, they face the risk that Israeli authorities will not allow them to return. Palestinians also say the Israel policy will keep out well-educated, middle-class and politically moderate members of the Palestinian diaspora who could play an important role in developing Palestinian society. Ali Aggad, a Jordanian citizen of Palestinian origin, has been working in the West Bank since 1999. He is now the general manager at the Unipal General Trading Company, which distributes consumer products for international companies like Procter & Gamble. For seven years, Israel has routinely granted him a tourist visa that has allowed him to spend weekdays working in the West Bank and weekends in Amman, Jordan, with his wife and two sons. Without warning, Israeli authorities denied him entry to the West Bank twice recently, he said. In the past few months, about 50 United States citizens have notified American diplomatic offices that Israel has prevented them from entering the West Bank, said Micaela Schweitzer-Bluhm, a spokeswoman at the United States Consulate in Jerusalem. “This is an issue we’ve been monitoring for several months, and it has been raised with the Israeli authorities,” she said. Many people of Palestinian origin sought to return to the Palestinian areas of the West Bank and Gaza after Israel and the Palestinians signed an interim peace agreement in 1993. Under a 1995 accord, Israel initially agreed to allow 3,000 immigrants to the Palestinian areas each year, as part of a family reunification process, said Mr. Dror, the Israeli official. Demand proved to be so great, he said, that Israel later increased the number to as many as 20,000 a year. Even so, there was a backlog of some 50,000 applications when Israel froze the process in 2000. Israel resumed allowing immigration last year, but soon froze it again when Hamas won power. One of the applications stuck in the pile is Mr. Bahour’s. He said he applied for permanent residency in 1994 and had not received a reply. Meanwhile, his current tourist visa expires Oct. 1, and Israeli authorities have written “last permit” in his United States passport.